Internet marketing conference Online Revealed Canada is proud to announce Bernardo Hernandez, Director, Consumer Marketing at Google at its keynote speaker March 9 at the Sheraton Centre in Toronto. The two day internet marketing conference March 8-9 features 36 educational sessions, two networking receptions and access to a new one-day event, the Canadian Tourism Marketing Summit. Also featured are the Canadian e-Tourism Awards to be presented at a lunch March 9, sponsored by Google. Our conference has always been known as the only user generated conference in Canada, states Patricia Brusha, Co-Founder of Online Revealed and A Couple of Chicks e-Marketing who produces the tourism marketing event. The significant role Google and other digital media giants are playing at ORC this year is a direct reflection of our commitment to ensuring relevant and cutting edge content. Hernandezs keynote will address how Google markets its brand with tips on how attendees can take Googles strategies and integrate them into their own internet marketing plans. Other topics include SEO for marketing, how social media will change your business, social media monitoring, mobile 101, word press camp, reputation management, Twitter for tourism and iPad or Playbook, iPhone or Blackberry, the new age of tablet and smart marketing. At the 2010 online marketing conference, keynote speaker Geoff Ramsey, Co-Founder of eMarketer, stressed the importance of staying ahead of the curve for 2010 with a focus on mobile and social media a recap interview with Ramsey can be seen at http://www.youtube.com/watch?v=pA8p7o_FTCM. Online Revealed continues into its 6th year bringing fresh and innovative content and speakers like Ramsey to guide marketers into the year ahead. This entry was posted in Which Open Source Blog and tagged Canadian, Conference., Consumer, Google, HEAD, Internet, Keynote, Leading, Marketing on January 18, 2013 by Administrator. StrongMail, a leading provider of email marketing and cross-channel marketing solutions for enterprises, today announced the results of a commissioned mobile marketing survey conducted on its behalf by Forrester Consulting in June 2012. Titled “Consumer Perceptions of Mobile Marketing for Strongmail,” 322 general population consumers responded, providing critical insight into the most effective ways brands can reach their audience on mobile devices. The results are eye opening for brands that are currently feeling their way through the world of mobile marketing, and offer definitive feedback about what consumers are willing to accept and the best path towards purchasing. The survey asked participants a range of questions about their attitudes towards marketing via mobile devices, as well as about their behavior following receipt of these messages. Mobile marketing was defined as email messages, SMS and in-app messaging accessed via a mobile device. Email marketing messages were the big winner among consumers, with survey respondents clearly picking email as their preferred form of mobile brand messaging. But frequency of those messages is key with most respondents saying they were willing to open messages from a brand once a week. Targeting is also key, with smartphone users being the most likely to open email and then to make a purchase following receipt of an email promotion. This entry was posted in Which Open Source Blog and tagged Attitudes, Commissioned, Consumer, Independent, Industry, Marketing, Mobile, Revealed, StrongMail, Survey, Towards on January 6, 2013 by Administrator. Real Estate Marketing Insider’s Tobias Nergarden issued some observations about the signs of increased consumer spending that has resulted from increased home sales today, and his opinion is that this will help home sales as increased consumer spending means consumers are willing to pay higher home prices. A real estate marketing company can make use of this information to find renters for San Diego vacation rentals. The Post Enterprise reports that for the first time since the collapse of the housing market, consumer spending is up throughout Southern California. The California Board of Equalization has released new numbers from the second quarter of 2012 that show a 9.1 percent increase in consumer spending in the southern half of the state. Riverside County saw the most significant increase in spending, with a 11.7 percent rise. Orange County saw an 8.9 percent increase, which was lower than many of the surrounding counties, but still a significant increase. The California Board of Equalization is in charge of collecting fees and administering taxes throughout the state. The Board itself is fairly small in size, consisting of four elected members who serve in a five person group with the State Controller. The regular members are elected from various districts throughout the state, while the State Controller is elected in a statewide election. The Agency itself employs thousands of workers who collect taxes as well as compile reports on taxes. Riverside County is a very large county in Southern California that spans from the eastern border of Orange County to the Arizona border. Riverside County is close enough to Los Angeles that many people who work in Los Angeles live in Riverside. 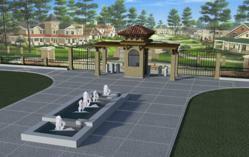 The population of Riverside County is currently growing rapidly, with many residents of the Tijuana area moving there. Along with this, there are several resort communities in Riverside County that make money from tourism. Orange County is the smallest county in California, geographically speaking, but it is very densely populated. There are more than 3 million people living in Orange County, many of them working in Los Angeles. Tourism is a major part of the Orange County economy, partially due to theme parks like Disneyland, which is located in Anaheim, a major Orange County city. Real Estate Marketing Insider today commented on the reported increase in consumer spending in Southern California that has come as a result of the beginning of a housing recovery. Real Estate Marketing Insider is a publication based in La Jolla, California. The purpose of REMI is to provide real estate professionals with tips, strategies, and in-depth analysis. This entry was posted in Which Open Source Blog and tagged California, Consumer, Housing, Issues, Observations, Recovery, REMI, Southern, Spending on October 16, 2012 by Administrator. A new HP coupon is calling to all consumers currently cursing the weird gaps in their color print-offs. Now for a limited time, savvy online shoppers can utilize the HP coupon highlighted by CouponBuzz.com in their section dedicated to special offers from HP. A brand-new LaserJet Pro 400 M451nw Color Printer is now $ 100 dollars off standard retail pricing for consumers in the know. However, the coupon expires midnight on September 1, 2012, so in this case its better to be the hare than the tortoise. The new LaserJet Pro 400 is an incredibly capable, state of the art printer, enthused Justin Bowen, one of the senior directors at CouponBuzz.com. I am constantly impressed by the increasing number of tasks a printer like this can now accomplish, and how simple the interface is to use. In fact, within the next decade, I fully expect my printer to be making my coffee in the morning. Interested consumers can read more here about the LaserJet Pro 400 M451 specifications, on the dedicated web page for HP coupons that CouponBuzz.com recently launched. The HP coupon for $ 100 dollars off the LaserJet Pro color printer can be found at the top of the tab titled printers. All of the current special offers from HP specifically for printers and printing accessories are also found under this tab, which is the simplest way to sort for them. The HP Laserjet Pro 400 prints at speeds of up to 21 ppm letter, and it prints in black for the same per page cost as a dedicated HP black and white laser printer. In addition, the Laserjet Pro 400 can print on an impressive variety of media sizes utilizing special tips and templates from HP to creating marketing materials and polished finished products. Its wireless connectivity makes it simple to print from anywhere in the office, and it features the popular HP e-Print technology. Incorporated auto-on/auto-off technology reduces energy consumption and HP smart-install can get the new printer ready to roll in no time. The $ 100 coupon for the HP LaserJet Pro 400 M451 color printer also includes free standard shipping, and a $ 10 dollar off coupon on HP toner. 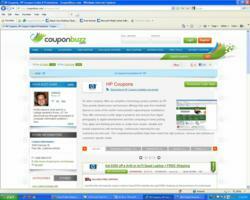 The coupon can be accessed on the dedicated HP coupon webpage at CouponBuzz.com, located here http://couponbuzz.com/hp-coupons.html. This entry was posted in Which Open Source Blog and tagged 100%, Attention, Color, Consumer, Coupon, Draws, LaserJet, M451nw, Printer on October 15, 2012 by Administrator. This entry was posted in Which Open Source Blog and tagged America, Changer, Consumer, First, game, Home, MainStreet, Nations, Park, Product, Theme, True on October 7, 2012 by Administrator. Castlight Health announced today that it will host a webinar with leading analyst firm IDC to discuss the latest trends, drivers and best practices for employers to help their employees become more engaged in their health care. The webinar, Bridging the Gap: Innovations in Health Care Consumer Engagement, will take place from 11:00 a.m. 12:00 p.m. PT on Wednesday, September 12, 2012. Health care costs in the U.S. continue to escalate, putting further financial burden on employers and employees alike. The ability for consumers to have full transparency into the cost and quality of care is critical to helping them make more informed decisions and in bringing about U.S. health care reform. Over the past several years, innovative programs and technologies to drive engagement in health care decision making have emerged, allowing consumers to make smarter health care decisions that result in better outcomes. During the webinar, industry expert Janice W. Young of IDC will discuss the trends driving the need for employee engagement; key drivers contributing to the level of employees engagement; and best practices to help employers effective engage their employees. This entry was posted in Which Open Source Blog and tagged Care, Castlight, Consumer, Discuss, Engagement, Health, Improving, Strategies on September 12, 2012 by Administrator. At a time when many consumers are still suffering the consequences of America’s economic downturn, Cambridge Credit Counseling has launched a new online blog to offer free financial education and advice to the public. The blog’s primary author will be Thomas Fox, Cambridge’s Community Outreach Director. Mr. Fox is a nationally accredited credit counselor and certified educator in personal finance who has authored a number of financial guidebooks, DVDs and curricula designed to educate young people and low-income individuals. In addition, Mr. Fox co-hosts the Money America radio show on WAIC 91.9 FM. Cambridge’s blog will be updated several times weekly with content relevant to the current economy and to personal financial success. Anyone interested in reading should visit http://cambridgecredit.wordpress.com . To receive RSS feeds of future posts, please click here. Cambridge Credit Counseling Corp. is a professional debt counseling agency dedicated to educating young adults on the importance of sound financial management, and to providing financially distressed Americans with education and debt management services appropriate to their needs. Visit Cambridge Credit Counseling Corp. online at cambridgecredit.org. To learn more about Cambridge Credit Counseling Corp. and the community, please visit youtube.com/CambridgeCredit. This entry was posted in Which Open Source Blog and tagged Blog, Cambridge, Consumer, Credit, Finance, Financial, improve, Launches, Literacy, Personal on July 19, 2012 by Administrator.